Greg Fraser has a diverse background in Australian agriculture having worked in tropical and temperate horticulture, broadacre agriculture, sugarcane, cotton and forestry industries. 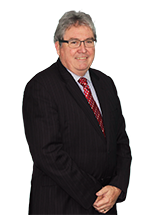 Greg holds degrees in science and management and is a Fellow of Ag Institute Australia and a Fellow of the Australian Institute of Company Directors. Previous positions have included commercial responsibilities across Australia, New Zealand and in Asia, leading roles in crop biotechnology as inaugural Chairman of Agrifood Awareness, Chairman of the Biotechnology Industry Group at Avcare and establishing Australia’s first commercial GM canola breeding operation. Greg also played a significant role in restructuring of Australia’s wheat breeding landscape as Director of Enterprise Grains Australia prior to joining the Grains Research and Development Corporation as an Executive. He has held membership on a number of boards and managed various enterprises in the agricultural, chemical and biotechnology industries.